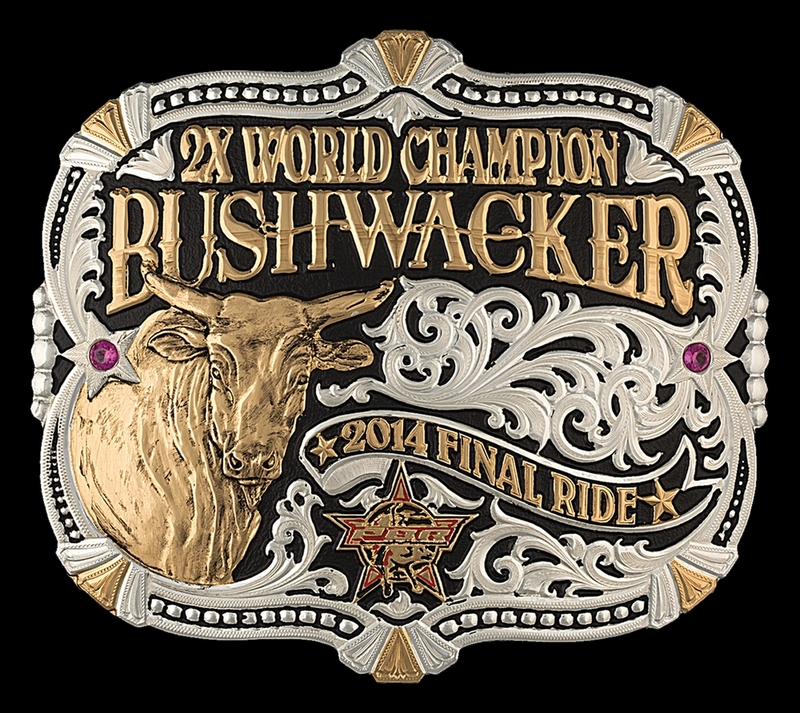 HURRY, GET YOUR BUSHWACKER COMMEMORATIVE BUCKLE WHILE SUPPLY LASTS! 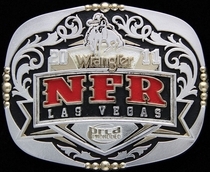 PBR Bushwacker Commemorative Buckle by Montana Silversmiths. A superstar among bucking bulls in the PBR is retiring at the end of 2014. Capture the 2X World Champion in action in the unique buckle. A custom shape, detailed edge and silver and gold accents, along with the PBR logo raises Bushwacker's likeness which is carved into the design to a true collector's item. please allow 7 business days for shipping.